Sandra Bookman has the details on the drugs found in a pickup truck in the Hudson Valley. MONTGOMERY, New York (WABC) -- Two men are under arrest after New York State Police say they pulled over a pickup truck in the Hudson Valley and discovered over $1 million worth of marijuana inside. On Friday, police executed a vehicle and traffic stop on the rental vehicle on State Route 208 in the Orange County town of Montgomery. They searched the vehicle after detecting a strong odor of marijuana. 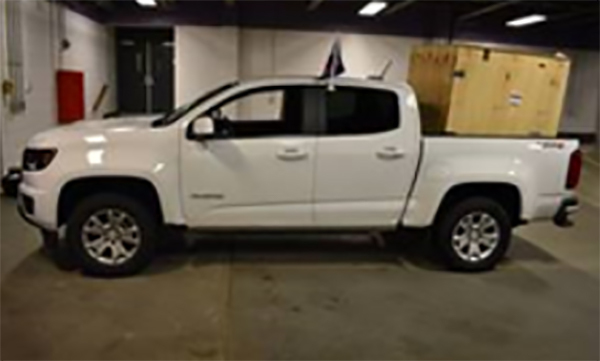 Inside a large wooden container in the bed of the pickup truck, police say they found over 204 pounds of high-grade marijuana in dozens of plastic bags. 35-year-old Danny Aguayo of Stamford, Connecticut and 69-year-old Anthony Donofrio of New Rochelle were charged with criminal possession of marijuana. Both were being held Sunday in the Orange County Jail on $50,000 cash bail.